The normally hyper-partisan atmosphere in Alberta’s Legislative Assembly was sobered today with news of a tragic and startling story. A six-month investigation by Edmonton Journal and Calgary Herald reporters based on death records unsealed after a four-year legal battle revealed a startling number of unreported deaths of children in care of the province between 1999 and 2009. The investigation found 145 foster children have died since 1999, nearly three times more than the 56 deaths revealed in government annual reports during that time. According to the report, at least 74 of these 145 children who died while in foster care were Aboriginal or Métis. While this story raises serious questions about transparency and why the government would keep these numbers from the public, there are still unanswered questions about how this number compares to other provinces and how it compares to children not in foster care. Opposition parties in the Assembly united in support for a motion introduced Wildrose MLA Jeff Wilson this afternoon to hold an emergency debate and a public inquiry into these deaths. 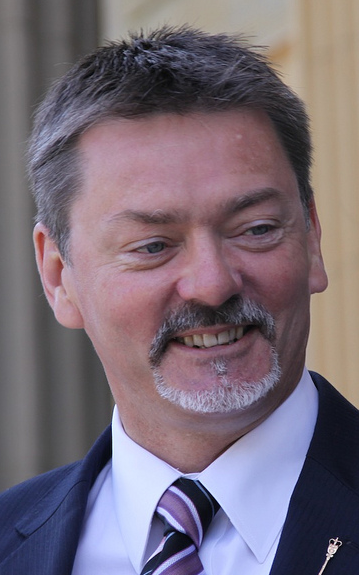 Human Services Minister Dave Hancock argued against holding an emergency debate, claiming that the government had acted to protect the privacy of the children and their families by not releasing the full number of children who died in foster care. Mr. Hancock also claimed that recent legislative changes made by the government, including the creation of the Office of the Child and Youth Advocate, would ensure these numbers would not be kept secret in the future. After a brief legislative wrangle over whether to hold an emergency debate, Assembly Speaker Gene Zwozdesky ruled against the idea. As leader of the party that has formed government in Alberta since 1971, Premier Alison Redford cannot take any position less than one that directly addresses this issue. Anything less will raise serious questions about the competency of the current government. Regardless of the original reasons why these deaths were unreported, it is important that the government come forward and provide a clear explanation as to why these cases were kept secret. As Albertans, we have a responsibility to protect our most vulnerable citizens, particularly those in care and especially children. This entry was posted in Alberta Politics and tagged Alison Redford, Danielle Smith, Dave Hancock, Gene Zwozdesky, Jeff Wilson, Rachel Notley, Raj Sherman on November 25, 2013 by Dave Cournoyer. Who’s the boss? Fred Horne and Stephen Lockwood spar over AHS performance pay. Health Minister Fred Horne did exactly the opposite yesterday when he issued a statement calling on the Alberta Health Services Board to withhold performance pay for its executives. 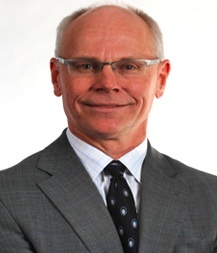 In response, AHS board chairman and trucking magnate Stephen Lockwood rebuked the minister’s statement and the appointed board voted to move forward with the performance payments at a meeting in Calgary. 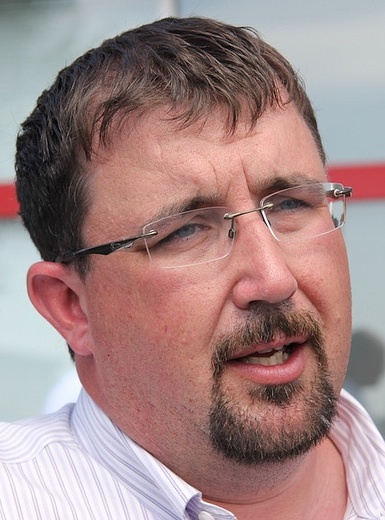 This issue has become a political problem for Premier Alison Redford‘s government. Unlike the government’s relationship with school boards, Albertans do not seem to perceive a difference between AHS and the Government. This has left many Albertans confused as to why the health authority is eliminating frontline staff while senior executives collect bonuses. When it comes to picking his battles, I am not sure that Mr. Lockwood could have picked a issue where he was more off-side with public opinion. But will this burst of independence last? The political showdown could come to an abrupt end this morning, when the government is expected to hold a press conference in response to AHS’s decision to approve the payments. 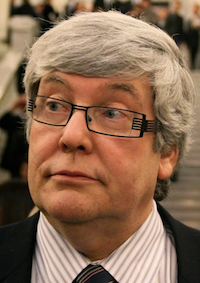 The Calgary Herald’s Don Braid writes that Mr. Lockwood’s time as board chair could end today. Of course, this is not the first time the government has demonstrated its influence over the supposedly arms-length agency. 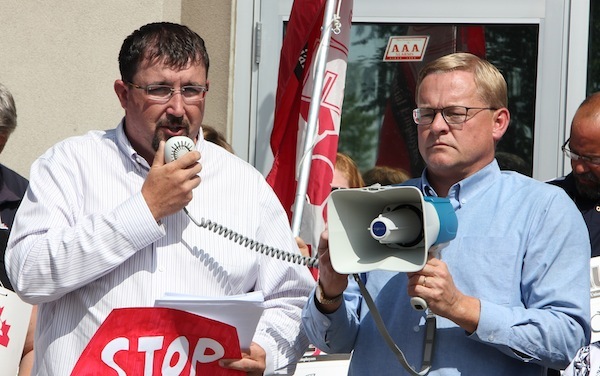 In 2010, then-Health Minister Gene Zwozdesky pressed the AHS board to fire CEO and President Stephen Duckett after his infamous “I’m eating a cookie” incident. Dr. Duckett’s departure helped deflect other criticisms the government was facing at the time over Emergency Room wait-times and the suspension of its former legislative assistant for health, Raj Sherman. 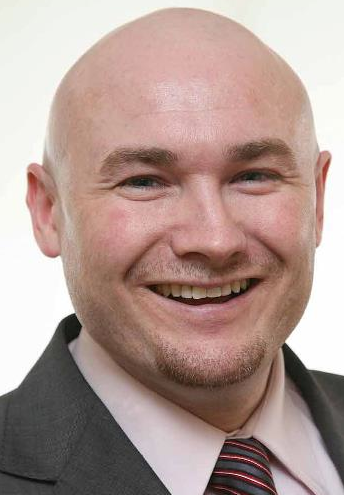 The chairman of the AHS board at the time of Dr. Duckett’s firing was Ken Hughes, who is now a Tory MLA and Minister of Energy. Remind me again why some people perceive the government and AHS as being the same thing? UPDATE: I guess we now know who the boss is. 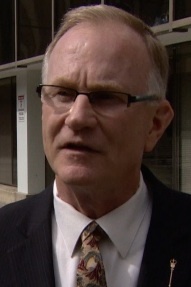 Minister Horne has fired the entire AHS board over the bonuses issue. This entry was posted in Alberta Politics and tagged Alison Redford, Fred Horne, Gene Zwozdesky, Ken Hughes, Raj Sherman, Stephen Duckett, Stephen Lockwood on June 12, 2013 by Dave Cournoyer. 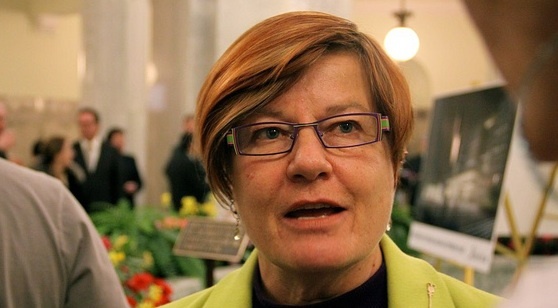 Laurie Blakeman now the longest-serving opposition MLA and other #ableg milestones. This week Edmonton-Centre Liberal MLA Laurie Blakeman was recognized in the Legislative Assembly as being the “longest-serving member to serve exclusively in opposition in Alberta’s history. Ms. Blakeman was elected on March 11, 1997 and, as Speaker Gene Zwozdesky noted, she has served continuously since that time for a total of 5,876 days over the course of five-terms. Ms. Blakeman surpassed David Duggan, who served in opposition from June 28, 1926, to May 4, 1942, for a total of 5,790 days. A historical irony is that had Speaker Zwozdesky, who was first elected as a Liberal in 1993, not crossed the floor to the Progressive Conservatives in 1998, he would now own this new record. 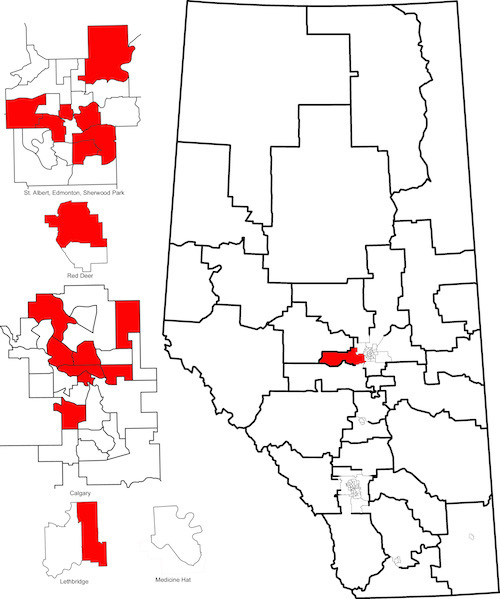 According to my estimation, the longest-serving opposition MLA who did not serve exclusively in opposition, is Walt Buck. Mr. Buck represented Clover Bar in the Social Credit government from 1967 to 1971 and in the Social Credit opposition from 1971 until 1982, as an Independent MLA from 1982 until 1984, and as a Representative Party MLA from 1984 until his retirement from politics in 1989. 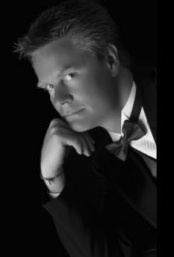 Mr. Buck recently passed away. Longest-serving current MLA: Pearl Calahasen, PC (1989-Present) *Ms. Calahasen is also the longest-serving woman MLA in Alberta history. 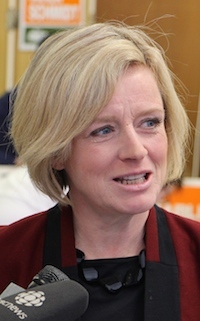 This entry was posted in Alberta Politics and tagged Dave Hancock, David Duggan, Ernest Manning, Gene Zwozdesky, Gordon Taylor, Laurie Blakeman, Pearl Calahasen, Peter Dawson, Ray Martin, Richard Reid, Robert Clark, Walt Buck on April 13, 2013 by Dave Cournoyer. What to expect in the spring sitting? Dirt, mud, and more dirt. Alberta’s Legislative Assembly Building (sans covered dome). After a three-month break, Members of Alberta’s Legislative Assembly will gather today in Edmonton to start the spring sitting. The commencement of this year’s first sitting will be unusual in that it will lack the traditional pomp and circumstance that comes with a Speech from the Throne. Lieutenant Governor Donald Ethell will not be invited to deliver a traditional Speech from the Throne today. The lack of Throne Speech or accompanying flagship legislation will mean a focus on the provincial budget, to be tabled on March 7. This, of course, is a deliberate move by the Tories. 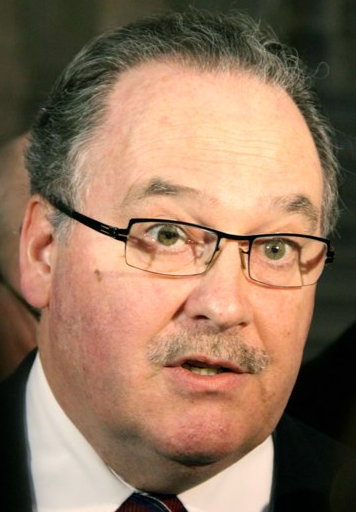 Finance Minister Doug Horner will table the provincial government’s 2013/2014 budget on Thursday, and many political watchers are wondering what the document will include. Over the past two months, Minister Horner and Premier Alison Redford have managed to communicate that Alberta has a revenue problem, a pipeline problem (also known as the unfortunately named ‘Bitumen Bubble’), and finally a spending problem. Over the past week, numerous groups, including the Parkland Institute, the Conference Board of Canada, and the Alberta Federation of Labour, have released reports and survey’s demonstrating the need to reform Alberta’s revenue system. 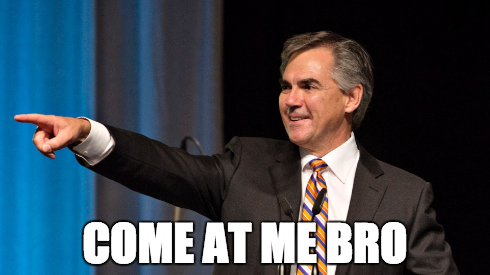 The Premier mused about tax increases, and then ruled them out. All these mixed signals will make this week’s budget announcement a highly watched spectacle. The continuation of the sitting also means that a handful of private members bills left over from last year’s sitting will return to the Assembly floor for debate this spring. These bills were introduced last year by opposition and backbench government MLAs. This will be the second sitting of the Assembly since Edmonton-Mill Creek MLA Gene Zwozdesky was selected as Speaker by his peers. 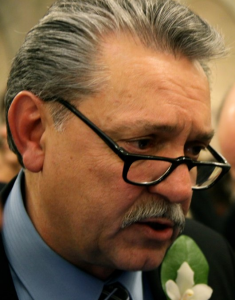 While generally seen as a fair chairman of the Assembly, Speaker Zwozdesky was highly criticized for ruling that Premier Redford did not mislead the Assembly over last year’s tobacco-gate scandal. Watch Premier Redford focus on her strengths, like advocating on the national stage for a Canadian energy plan and for opening new markets for Alberta’s oil – like the controversial Keystone XL pipeline. As demonstrated throughout her first year in office, Premier Redford is much more effective at being a provincial advocate than being a provincial politician. Will the Wildrose drive the agenda? In the fall sitting of the Assembly, the newly minted Wildrose Official Opposition ran circles around the large Tory majority. 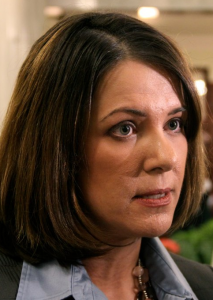 It seemed like every day Wildrose leader Danielle Smith and Airdrie MLA Rob Anderson would have a new scandal or leaked documents to throw at the Tories like a live grenade. Mirroring the tactics of the federal Conservatives in Ottawa, the Wildrose have brought a more aggressive and hyper-partisan approach than Albertans are used to from their opposition parties. The official opposition launched a new website and series of radio ads to coincide with the budget debate, asking for Albertans feedback on the fiscal situation. While it is hard to fault the official opposition for their outreach, it is difficult to imagine the Wildrose will change their conservative ideological bent based on this mini-public relations campaign. Three years ahead of the next election, a new online poll released by ThinkHQ shows the Wildrose leading the Tories 36% to 28%. The New Democrats and Liberals were distant from the pack at 16% and 13%. While the poll should be taken with a grain of salt, the mixed messages about provincial finances, recent conflict with Alberta’s teachers and uber-popular Calgary Mayor Naheed Nenshi are not likely working to help the Tories’ cause. Lost in the fray during the fall sitting, these two parties need to remind Albertans that they are still there. Can the New Democrats and former official opposition Liberals succeed in reasserting themselves in the Assembly? I would not count them out. The four-MLA NDP caucus just finished their province-wide “Broken Promises Tour”, highlighting what leader Brian Mason claims are a string of broken promises from the Tories since last year’s election. Liberal leader Raj Sherman has come out with a string of media releases criticizing the Tories. 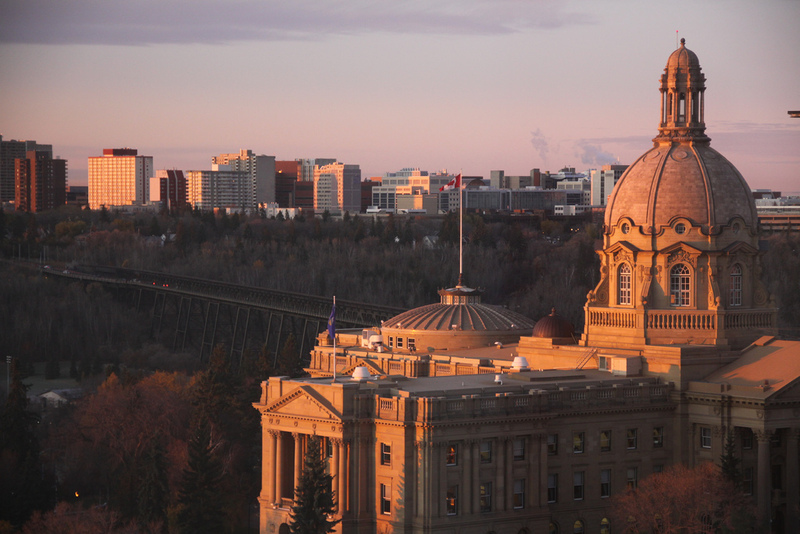 Both parties hope that a provincial budget harsh on public services will remind Albertans of the differences between their parities and the governing Tories. The centre-rightish Liberal Party saw a mass exodus of supporters vote for Premier Redford’s Tories in last year’s election to block the Wildrose from forming government. It worked too well for the Tories, leaving the Liberals with a small five MLA caucus. 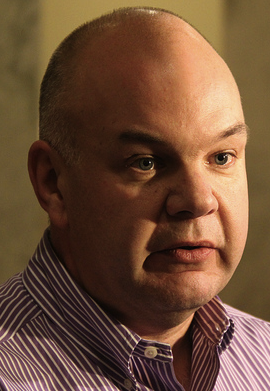 Last fall, the Wildrose Official Opposition danced circles around the governing Tories. Daily attacks from the Wildrose left the Tories stumbling and stammering to respond. New faces in the Premier’s Communications Office have already brought a more aggressive and partisan tone to their media releases and responses to opposition criticism online. This sitting, expect to see the Tories to counter the Wildrose attacks by taking a more aggressive approach to defending Premier Redford’s political agenda. That means dirt, mud, and more dirt. This entry was posted in Alberta Politics and tagged Alison Redford, Brian Mason, Danielle Smith, Donald Ethell, Doug Horner, Gene Zwozdesky, Jill Clayton, John Vertes, Naheed Nenshi, Neil Wilksonson, O. Brian Fjeldheim, Raj Sherman, Rob Anderson on March 5, 2013 by Dave Cournoyer. Wildrose MLAs stage walk out during dramatic tobacco conflict. Another hour of Question Period in Alberta’s Legislative Assembly. 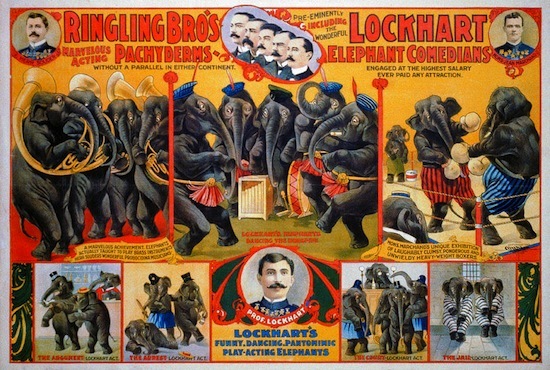 Another circus event for political watchers. Theatric and dramatic antics dominated this afternoon’s hour-long Question Period in Alberta’s Legislative Assembly. 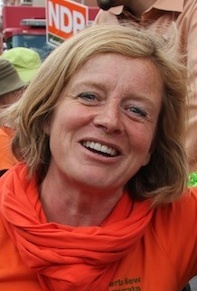 To start the drama, the official opposition Wildrose Caucus raised a point of personal privilege claiming that Premier Alison Redford misled the Assembly by claiming she did not choose the law firm involved in a $10 billion lawsuit against the tobacco industry (the Premier’s ex-husband is a partner at a law firm awarded a government contract in the lawsuit). 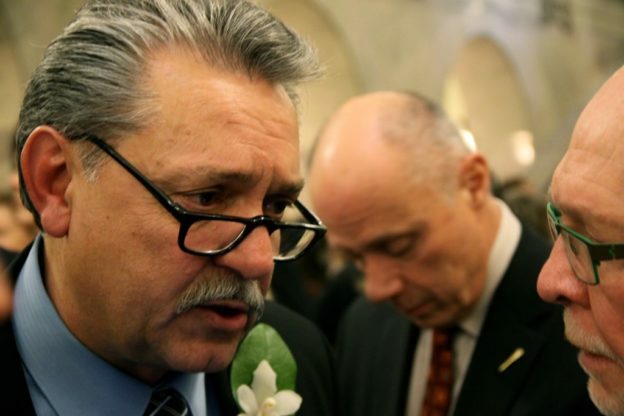 Soon after raising the point of privilage, Assembly Speaker Gene Zwozdesky overruled and denied Danielle Smith and her Wildrose MLAs an opportunity to ask any questions related to the Premier’s alleged conflict of interest in the tobacco lawsuit. In response, most of the 17 MLA Wildrose caucus stormed out of the Assembly Chamber in protest (the dramatic effect was lessened when a number of Wildrose MLAs quickly returned to their seats in order to ask questions not related to the tobacco conflict claims). In a bizarre twist, Speaker Zwozdesky held up a Government of Alberta press release as evidence that the Premier did not mislead the Assembly because the final decision to select the law firm was signed by her successor, then-Justice Minister and current Agriculture Minster Verlyn Olson. The Speaker then declared that it matters not whether the Premier selected the law firm, she did not mislead the Assembly because her successor signed the contract. (I just had a Bill Clinton flashback). 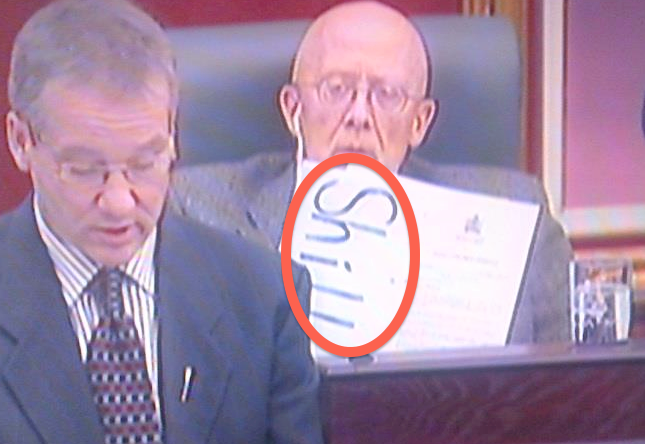 Wildrose MLA Gary Bikman’s handmade signage. 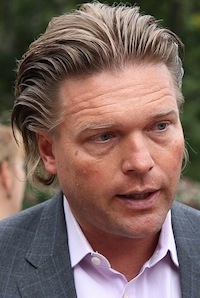 Taking full advantage of the attention of the Twittersphere and the Press Gallery, the Wildrose Party cried foul and complained that the ruling was an affront to democracy (Cardston-Taber-Warner MLA Gary Bikman wrote “SHILL” on the back of his notebook, leaving political watchers to suspect the message was directed at Speaker Zwozdesky). Tories claimed the rookie Wildrose MLAs simply did not understand the rules of Westminster-style parliamentary procedure. Meanwhile, New Democrat leader Brian Mason escalated his party’s call for Premier Redford to step down (a demand which she is unlikely to acquiesce). Liberal leader Raj Sherman clumsily attempted to tie the Premier’s decision not to step down with the suspension of Gary Mar, Alberta’s envoy to Hong Kong, earlier this year. Premier Redford suspended Mr. Mar from his duties overseas after allegations that former Tory leadership candidate used his title to raise money to pay-off his political debts (he was reinstated after the election). Since entering office, Premier Redford has tended to initially respond slowly to political crises confronting her party and respond decisively once the issue has become a political problem. Whether it be the infamous No-Meet Committee, the never ending MLA pay issues, the Allaudin Merali expense fiasco, the Tories default strategy appears to be to ignore the issue in hopes that it will disappear. It has been five days since CBC investigative reporter Charles Rusnell first reported on the Premier’s alleged conflict of interest and the Tories are still stumbling through a public relations debacle that should have been easy to resolve. Whether or not Premier Redford is in an actual conflict of interest, the Tories are doing a good job looking guilty and the opposition is only happy to help them on their way. This entry was posted in Alberta Politics and tagged Alison Redford, Allaudin Merali, Brian Mason, Charles Rusnell, Danielle Smith, Gary Bikman, Gene Zwozdesky, Raj Sherman, Verlyn Olson on December 3, 2012 by Dave Cournoyer. 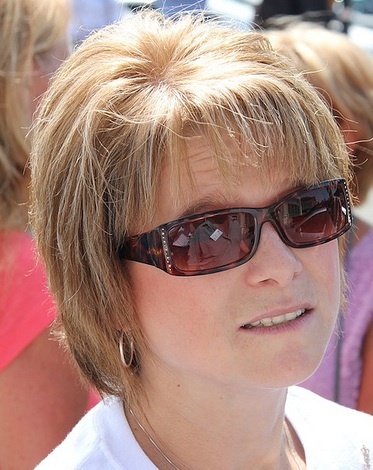 Wildrose Party wages permanent negative campaign against Redford Tories. A yet to be released negative ad from the Wildrose Party. The Wildrose Party is running a permanent negative campaign against the long-governing Progressive Conservative Party. 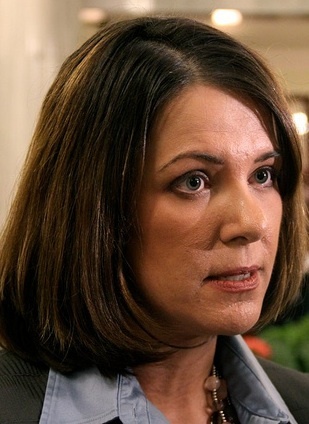 Not taking time to break after their defeat in the May 2012 election, Danielle Smith and her 16 Wildrose MLAs are pushing hard to make Alison Redford’s Tories look corrupt and un-conservative. Taking a more aggressive approach than their predecessors in the official opposition benches, the Wildrose have stunned the Tories into a stammer. Relentlessly berating the Tories for taking new approaches towards capital financing, the Wildrose Party are doing their best to cast the Tories as Conservatives in Name Only (CINOs). Gary Bikman, the Wildrose MLA from the deep rural south Cardston-Taber-Warner constituency, has started referring to the Tories as the “Progressive Party” on his Facebook Page. The opposition is limited in the tactics available to them, so Wildrose MLAs use the “open-mic” available in Question Period to launch unrelenting attacks against Tory cabinet ministers. Taking a cue from the federal Conservatives in Ottawa, preambles to questions asked by Wildrose MLAs are now typically little more than negative partisan attacks. Considering the strong connections between the Wildrose Party and the Ottawa Conservatives, it is not surprising that they would adopt a similar strategy. Mr. Speaker, this government has mismanaged our ___________ for years: illegal donations from ___________, outrageous expenses on ___________. Albertans are saying that they’ve had enough of the abuse from this government and enough of living in the most oppressive, intimidating environment that anyone could find themselves in. Will the Minister of ___________ finally recognize that years of systemic waste, abuse, intimidation, and disrespect on the part of this government have led to this crisis situation and immediately change his course of action and start addressing the obvious concerns of Albertans? Anyone who has watched Question Period will know that it always includes a certain level of partisan rhetoric, but the level the level of partisan rhetoric has dramatically increased since the Wildrose MLAs formed official opposition this year. For example, earlier this week Two Hills-St. Paul-Lac La Biche Wildrose MLA Shayne Saskiw was called out for insinuating that the Premier’s sister, Lynn Redford, was a criminal (our justice system still operates under the presumption of innocence in this country). It is a cynical approach towards politics. Not winning by offering better ideas or stronger leadership but by dragging your opponents deeper into the mud. Speaker Gene Zwozdesky and Vermilion-Lloydminster Tory MLA Richard Starke have pleaded for decorum in the Assembly. But with the opposition MLAs unlikely to change their tactics, not all members of the Tory cabinet are willing to be great contributors to a reasoned debate. Albertans tired of the rhetoric from this year’s elections should settle in and accept the reality that the negative campaign did not end on April 23, 2012. This campaign will continue until at least the next election. This entry was posted in Alberta Politics and tagged Alison Redford, Danielle Smith, Gary Bikman, Gene Zwozdesky, Lynn Redford, Richard Starke, Shayne Saskiw, Thomas Lukazsuk on November 28, 2012 by Dave Cournoyer. murky waters ahead for alberta’s liberal party. 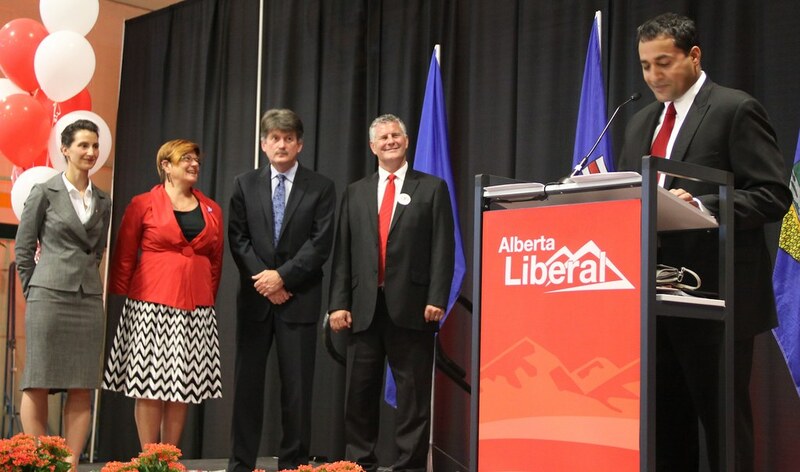 Raj Sherman delivers his leadership victory speech as leadership chair Josipa Petrunic, and candidates Laurie Blakeman, Hugh MacDonald, and Bruce Payne look on (September 2011). The Alberta Liberals will be holding a vote to affirm or oppose the continued leadership of Raj Sherman on June 16 at the Whitehorn Community Association in northeast Calgary. While the 2012 election gave the Liberal Party its worst electoral showing in decades, including the loss of Official Opposition status to the Wildrose Party, many Liberal partisans are lining up to reaffirm Dr. Sherman’s leadership. 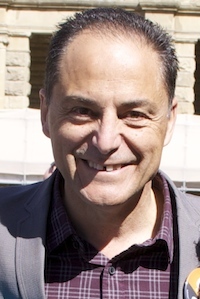 Dr. Sherman was first elected as a Progressive Conservative MLA in 2008, became Liberal leader in 2011 and was re-elected as MLA for Edmonton-Meadowlark in the recent vote. It is unclear where the Liberal Party fits in the new political environment and despite its dismal showing at the polls last month and it is disputable whether changing leadership at this time will improve that party’s electoral fortunes. 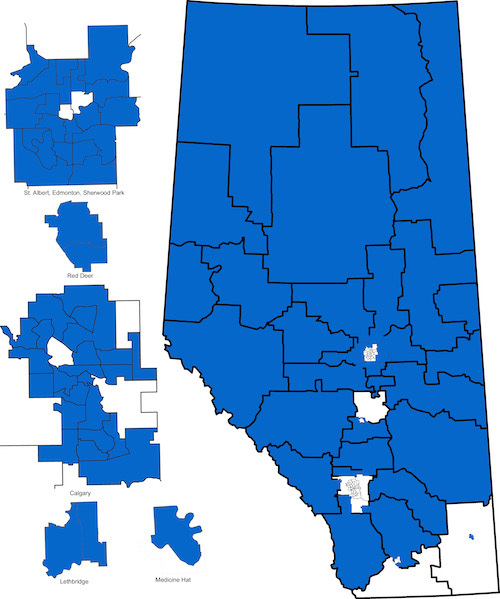 Dr. Sherman’s biggest advantage in the June vote may be a lack of anyone else interested in taking up the unenviable position of trying to rebuild Alberta’s Liberal Party. 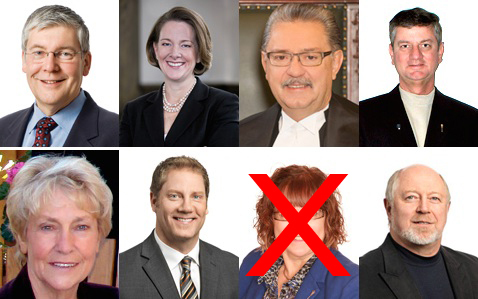 With only four other MLAs in the Assembly, the Liberals would have a small pool to draw from if Dr. Sherman were to leave. 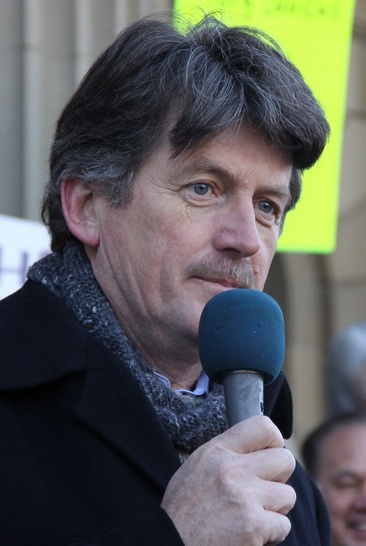 One of those MLA’s, David Swann, already served as leader from 2008 until 2011, and another, Laurie Blakeman, was defeated in the 2011 leadership contest. Ms. Blakeman spent the past month campaigning to become the Speaker of the Assembly, which if she had won would have, for all intents and purposes, bumped the group of Liberal MLA’s down to 4. 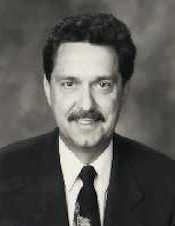 Ms. Blakeman was unsuccessful in her bid and was defeated by Edmonton-Mill Creek PC MLA Gene Zwozdesky, who himself crossed the floor from the Liberals to the PCs in 1998. 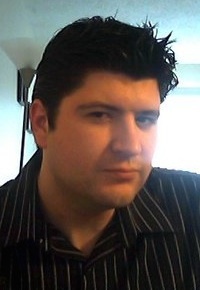 Calgary-Buffalo MLA Kent Hehr demonstrated ambition for higher office during his short-lived run for Mayor of Calgary in 2010, but has not publicly displayed interest in his party’s leadership position. I have little insight into whether Calgary-McCall MLA Darshan Kang would be interested in the role. A few long-time Liberal partisans have shared their frustration with me, suggesting that if long-time Edmonton-Gold Bar MLA Hugh MacDonald had not decided to retire in the recent election, he would be in an ideal position to claim the party leadership. 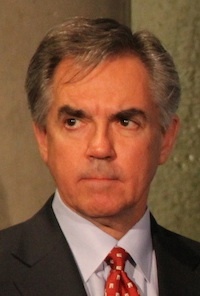 Mr. MacDonald placed second in that party’s 2011 leadership contest and many of his supporters continue to see Dr. Sherman as an outsider to their party. It is expected that PC Premier Alison Redford will face a leadership affirmation vote at her party’s annual convention next year. After leading her party to re-election, winning 61 of 87 seats, it is likely that her leadership will be strongly affirmed in the vote. 8.4 The Leader shall be limited to holding the office of Leader of the Party for the longer of two terms of the Legislative Assembly or eight years, unless endorsed by a two-thirds majority to continue for an additional four years at the Annual General Meeting immediately preceding the expiry of the allowed term. 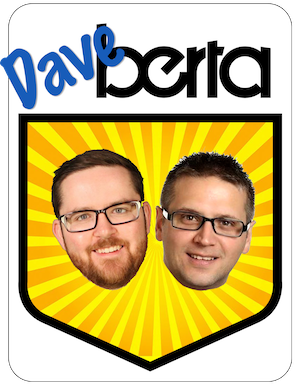 Both the Alberta NDP and the Alberta Party hold votes to affirm or oppose the current leadership at each annual general meeting, meaning that Brian Mason and Glenn Taylor will face votes in the upcoming year. This entry was posted in Alberta Politics and tagged Alison Redford, Brian Mason, Bruce Payne, Danielle Smith, Darshan Kang, David Swann, Gene Zwozdesky, Glenn Taylor, Hugh MacDonald, Kent Hehr, Laurie Blakeman, Raj Sherman on May 25, 2012 by Dave Cournoyer.